Discussion in 'Suggestions' started by Weedosaurus, Dec 10, 2018. I think we can all agree that being a cop is a little underwhelming and quite frankly boring. I have a few suggestions to make being a cop slightly more viable. - Cop Salary: Cops should earn money, based on their rank, for time spent being on duty. This would encourage cops to patrol spawn even during down times on the server due to the promise of being compensated for their time. I see the potential in abuse of this system and maybe a work around could be if you afk on duty after 15 minutes or so it automatically removes you from duty. - Cop Bounties: These would be bounties that only cops are able to bring in. Each player could have a base bounty amount based on their drug rank, and other druggies can add money to their rival's bounty pot in order to incentivize cops to raid bases in pursuit of earning that sweet bounty money. This also provides a revenue stream exclusive to cops, because lets be real alcohol hardly makes you any money especially after the initial purchase in a cop house. Here are some new drug suggestions to add variation in what people are selling, most of these reward players for taking time to process their drugs and give some use to relatively unused items. Laced K2 (Poisonous Potatoes): Obviously this is a drug that you can't really farm directly, but more of an added bonus to potatoes. Ayahuasca (Mushroom Stew): Recipe wise not accurate to the name of the drug, but I feel a nerf to mushrooms and a buff to more processed drugs will help diversify what people sell. This item isn't stackable so I hesitated adding this one but I feel it could be a good addition. Not a fan of the cop ideas but I like the new drug ideas! Is there anything in particular you would change about the cop ideas? 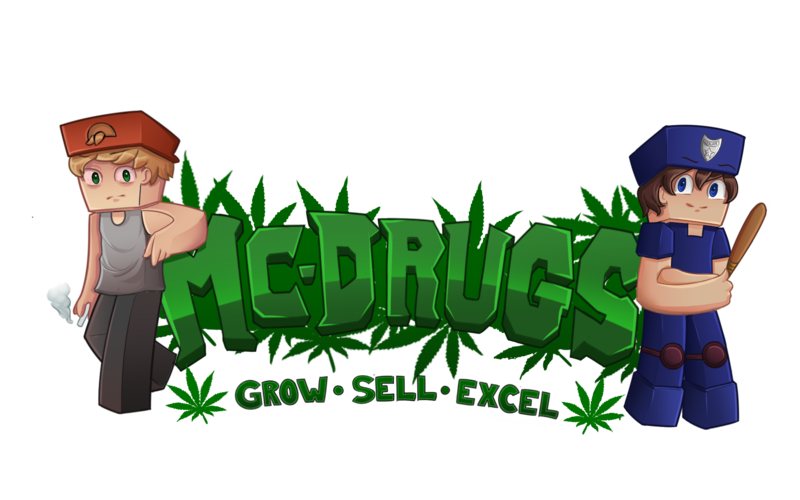 New drugs are planned with the new plants in upcoming versions of the game, but as Nova said, a drug relying on gold wouldn't be sustainable for long. As for the police suggestions, I believe a system like that would only promote cops AFKing, and with our current police system, it's just not a possibility. However, I'd like to get the police system and plugin reworked for next map, so it this idea may take some form in the future.